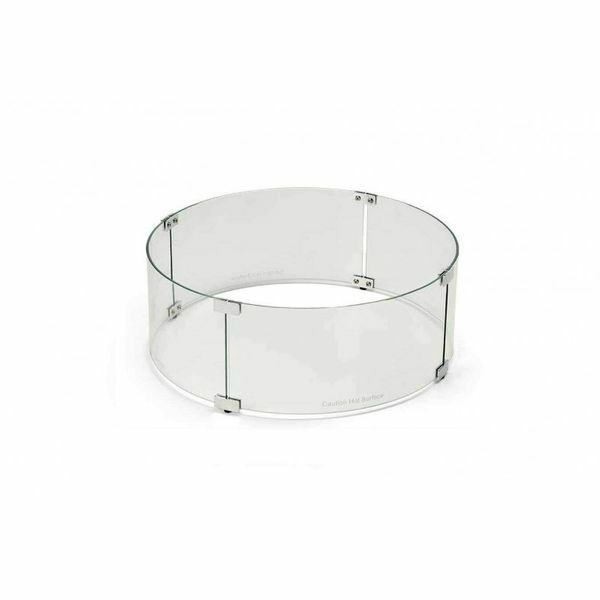 This beautifully constructed and durable, 23" round, heavy-duty 3/16" clear tempered glass wind guard is perfect for smaller round fire pit inserts. �Its heat-resistant properties reduce flame disturbance and prevent loose items from coming into contact with flames, making it safer and more secure. This product also comes equipped with four polished aluminum brackets and plastic support feet to minimize corrosive damage that may occur from exposure to environmental elements and maintain the sturdiness of the product.